Steve has been working in the tree care business for over 30 years. His experience began as an arborist with the City of Los Angeles. 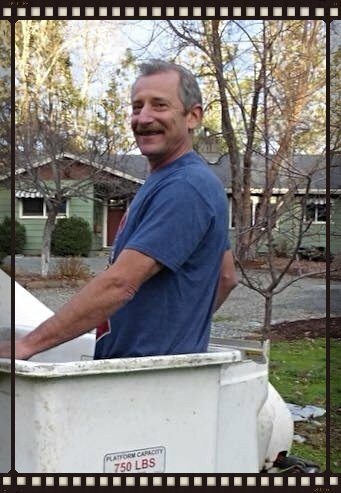 He moved to the beautiful Southern Oregon area where he began his tree care business in 1994. He is licensed through the State Contractor's Board and is fully bonded and insured to work in Oregon. Steve prides himself on treating each customer with the best of care. He offers home and business owners suggestions on the best way to care for their tree landscapes and has an artist's eye when it comes to pruning. He understands tree biology and offers customers non-chemical solutions to treat problems. Correct pruning of a tree can mean the difference between a mediocre tree or one that invites praise and compliments and is super-healthy. Steve says, "Healthy trees enhance your home or business and provide shade and privacy. Investing in quality tree care with a professional tree service will provide you with years of pleasure and add to your property's value."